We are using latest technology and Technics for SPM automation in our production units .we export our materials to gulf countries and European country. 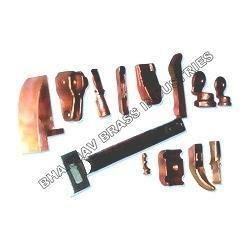 Product name : copper forged components. Ranges : as per customized. Threading : BSP, BPST, NPT, UNF, UNC, UNS, B.S.CON, MM ETC. Finished : chrome ,nickel, tin, natural, etc. We will be glad to develop the part as per customized requirement. refrigeration and air cooling industry. solar energy instruments manufacturing industry. 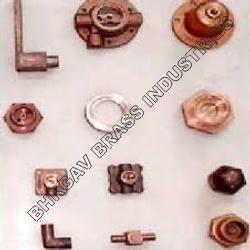 We are leading manufacturer of copper components as per customized requirements. . .
Copper : specifications of copper alloys are ec grade, chromium copper and cadmium copper. We are engaged in offering a comprehensive range of Copper Forged Electrical Fittings to the clients. These products are extensively used for high voltage and low voltage appliances. Furthermore, these products can be procured in various specifications of copper alloys such as EC grade, Chromium Copper and Cadmium Copper. Looking for Copper Forged Parts ?